Except in a few states such as Maine and Florida, working waterfronts have not been a primary focus of policy-makers. As a result, very few legal tools and policy approaches have been developed with working waterfronts in mind. Fortunately, there are a number of tools that were developed to address similar coastal management issues that can be successfully applied in the working waterfront context at various governmental levels (local, state, federal). 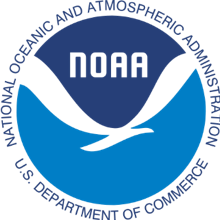 The federal Coastal Zone Management Act requires participating states to give priority consideration to coastal-dependent uses when siting major facilities in the coastal zone. States, taking advantage of authority granted by the public trust doctrine, can enact policies that give preference to water-dependent uses and enhance waterfront access. Local governments utilizing land use planning authorities can incorporate provisions giving preference to traditional waterfront business and uses into comprehensive plans and zoning ordinances. Federal and state historic preservation laws can be used to preserve waterfront areas with significant historic value. Land conservation and acquisition programs using legal tools such as conservation easements and eminent domain, and financing tools, such as revolving loan programs, can help communities preserve or acquire valuable working waterfront real estate. Federal, state, and local tax policy can provide incentives for maintaining working waterfronts through tax incentive or tax deferral programs. Click on the above links to learn more about these law and policy tools, access case studies of how communities have used them to address working waterfront problems, and find links to additional resources.